The king of herbs, Basil is one of the oldest and popular herbal plants, rich in phyto-nutrients. Basil leaves contain many plant-derived chemical compounds that are known to have disease preventing and health promoting properties. Basil leaves contain health benefiting essential oils such as eugenol, citronellol, linalool, citral, limonene and terpineol. These compounds are known to have anti-inflammatory and anti-bacterial properties. The herbs’ parts are very low in calories and contain no cholesterol, but are a very rich source of many essential nutrients, minerals, and vitamins that are required for optimum health. Basil herb contains exceptionally high levels of beta-carotene, vitamin A, cryptoxanthin, lutein and zea-xanthin. These compounds help act as protective scavengers against oxygen-derived free radicals and reactive oxygen species (ROS) that play a role in aging and various disease processes. Zea-xanthin, a yellow flavonoid carotenoid compound, is selectively absorbed into the retinal macula lutea where it found to filter harmful UV rays from reaching the retina. Studies suggest that common herbs, fruits, and vegetables that are rich in zea-xanthin anti-oxidant help to protect from age-related macular disease (AMRD), especially in the elderly. 100 g of fresh herb leaves contain astoundingly 5275 mg or 175% of daily required doses of vitamin A. Vitamin A is known to have antioxidant properties and is essential for vision. It is also required for maintaining healthy mucus membranes and skin. Consumption of natural foods rich in vitamin-A has been found to help the body protect from lung and oral cavity cancers. Vitamin K in basil is essential for many coagulant factors in the blood and plays a vital role in the bone strengthening function by helping mineralization process in the bones. 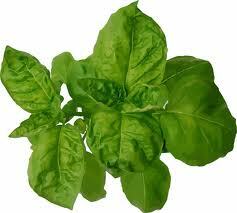 Basil herb contains a good amount of minerals like potassium, manganese, copper, and magnesium. Potassium is an important component of cell and body fluids, which helps control heart rate and blood pressure. Manganese is used by the body as a co-factor for the antioxidant enzyme, superoxide dismutase. Basil leaves are an excellent source of iron, contains 3.17 mg/100 g of fresh leaves (about 26% of RDA). Iron, being a component of hemoglobin inside the red blood cells, determines the oxygen-carrying capacity of the blood. All parts of the Fennel plant are safe for use. Appetite suppressant and a weight loss aid. Hippocrates recommended a tea to increase the flow of milk in nursing mothers. Menopausal women may want to try it to ease the associated symptoms. The leaves or stems can be pounded into a paste and given to nursing mothers to relieve breast swelling. Fennel teas or Fennel water have been used throughout history to break up kidney stones, quiet hiccups, prevent nausea, aid digestion, prevent gout, purify the liver, reverse alcohol damage to the liver, and treat jaundice. For babies, it is said to relieve colic and flatulence, and to expel worms. It may be effective when used along with conventional treatments in prostate cancer (and it is definitely worth trying, but consult with your doctor first). The tea can also be gargled as a breath freshener and applied as an eye wash. Alternatively, the leaves can be dried, pulverized into a powder, and made into capsules for when it’s not convenient to utilize a tea. Fennel is disliked by fleas, and can therefore be used around the house in doorways and near pet bedding to reduce flea populations. 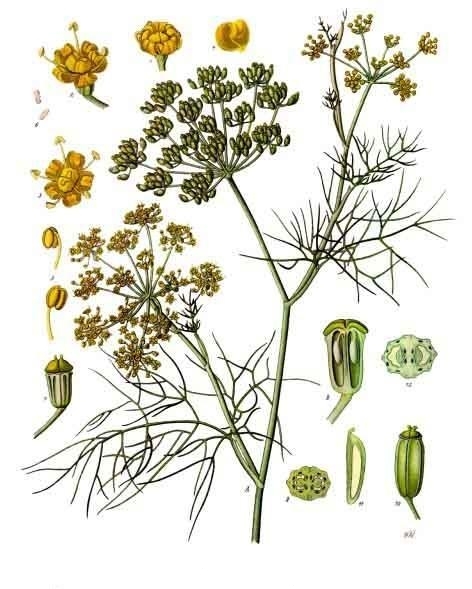 Fennel is a cleansing and medicating herb, and can be used for a steam facial for opening pores and rejuvenating facial skin. For more than 5,000 years, turmeric has been an important part of Eastern cultural traditions, including traditional Chinese medicine and Ayurveda. Valued for its medicinal properties and warm, peppery flavor, this yellow-orange spice has more recently earned a name for itself in Western medicine as well. Turmeric comes from the root of the Curcuma longa plant, which is native to Indonesia and southern India, and is widely used as an ingredient in curry dishes and yellow mustard. As research into this powerful spice has increased, it has emerged as one of nature’s most powerful potential healers. Most notably turmeric is known for its potent anti-inflammatory properties, which come from curcumin — the pigment that gives turmeric its yellow-orange color, and which is thought to be responsible for many of its medicinal effects. There are an estimated three to five grams of curcumin in 100 grams of turmeric. Curcumin has been shown to influence more than 700 genes, and it can inhibit both the activity and the synthesis of cyclooxygenase-2 (COX2) and 5-lipooxygenase (5-LOX), as well as other enzymes that have been implicated in inflammation. In India where turmeric is widely used, the prevalence of four common U.S. cancers — colon, breast, prostate and lung — is 10 times lower. In fact, prostate cancer, which is the most frequently diagnosed cancer in U.S. men, is rare in India and this is attributed, in part, to turmeric. Numerous studies have looked into this potential cancer-fighting link, with promising results. Your liver’s primary role is to process and remove toxins carried in your bloodstream. When functioning at its peak, it can filter up to two liters of blood per minute and easily break apart toxic molecules to reduce their toxicity. Your liver is also a crucial part of vitamin, mineral, protein, fat, carbohydrate and hormonal metabolism. However, poor diet, allergens, pollution and stress can cause your liver to become sluggish, and this can impair its vital functions. This is where turmeric can be a very useful part of your liver support system. Turmeric is also a natural cholagogue, a medicinal agent that promotes the discharge of bile from your system. Increased bile flow is important to help your liver detoxify and to help your body digest fats. Turmeric inhibits free radical damage of fats, including cholesterol. When cholesterol is damaged in this way, or oxidized, it can then damage your blood vessels and lead to a heart attack or stroke. Therefore, research suggests that turmeric’s ability to prevent the oxidation of cholesterol may be beneficial for your heart. It’s also rich in vitamin B6, high intakes of which are associated with a reduced risk of heart disease. Meanwhile, turmeric appears to be highly protective against neurodegenerative diseases. The compound has also proven capabilities of blocking the progression of multiple sclerosis. Further, Professor Moolky Nagabhushan from the Loyola University Medical Center, Chicago, IL, who has been studying turmeric for the last 20 years, believes that turmeric can protect against harmful environmental chemicals, and in so doing protect against childhood leukemia. Turmeric’s volatile oils also have external anti-bacterial action. As such, they may help prevent bacterial wound infections and accelerate wound healing. Take 1/4 tea spoon of tumeric and 1/4 tea spoon of ginger powder add 1/2 tea spoon of pure honey in cup of warm water. Drink it 2 to 3 times a week.